KIDSTOP is a school-age child care program for K-6 located at 15 schools in the St. Cloud, Sauk Rapids-Rice, Sartell-St. Stephen and ROCORI school districts, as well as STRIDE Academy Charter School and Athlos Academy. Kids love KIDSTOP because they have so many activities to choose from, including Power Hour homework help, computer access, gym activities, outdoor games, arts and crafts or just hanging out with friends. Parents love it because they know their kids are in the hands of youth guidance professionals who really care about them. KIDSTOP provides a way for parents to give their kids a quality before- and after-school experience at an affordable price. KIDSTOP gives kids daily opportunities that parents know are vital for their child’s healthy growth. KIDSTOP is offered at 15 area schools immediately after school ends until 6 p.m. (ROCORI, STRIDE and Athlos have different schedules – please click on ROCORI/STRIDE Academy/Athlos KIDSTOP). The program is also offered during some school holidays and during the summer. Scholarships and county child care assistance are available to families having financial difficulty. 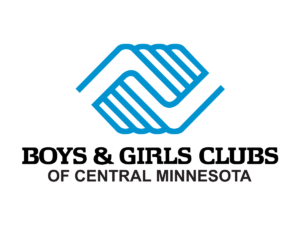 The Boys & Girls Club is committed to making sure that ALL children are entitled to quality after-school care, because the children of Central Minnesota deserve to continue to have a positive place to stay after school – place that is convenient for parents and fun for kids. Save the date for Summer KIDSTOP site registration! Download a copy of the Summer KIDSTOP site registration flier. If school is dismissed early due to severe weather, KIDSTOP/Clubs will not be open. In the event school is dismissed early due to severe weather, please make plans and discuss your emergency plan with your children to either take the bus home or be picked up at school by you or another designated person. Your emergency plan should be indicated on the school’s Emergency School Closing form. If school is canceled for the entire day due to severe weather KIDSTO/Clubs will not be open. In the event school is canceled for the entire day, please make other child care arrangements. If after school activities are canceled for the day, KIDSTOP/Clubs will remain open until 6:00 p.m. Please make arrangements in order to pick up your children no later than 6:00 so our staff can get home safely. KIDSTOP has a non-refundable registration fee of $20.00 per child for the school year and $10.00 per child for summer. Registration includes a membership to any Boys & Girls Club unit. Starting January 3, 2019, the all-day rate for KIDSTOP will be $25.75 per child, and after-school KIDSTOP will remain $10.25 per child. Starting September 1, 2019, the after-school KIDSTOP rate will be $10.50. All-day hours are from 6:30 a.m. – 6 p.m., and sites vary. Sign up for Easy Pay and never worry about late fees! Click here to download an Easy Pay form now. The Boys & Girls Clubs of Central Minnesota has a scholarship program to ensure that all youth, regardless of financial ability, can participate in the KIDSTOP program. For more information on the scholarship program or to apply for county child care assistance, please contact our administrative office at 320-252-7616 or club@bgcmn.org. The David Berg Memorial Scholarship Fund is a scholarship instituted by Ron and Grayce Berg in memory of their son, David. This scholarship is available annually to serve one select family experiencing hardship. 601 Red River Ave. N.